i) Should have passed 10+2 With science or equivalent from a recognized Board/Institution . ii) Should have Degree or Diploma in Pharmacy granted by an institution of Central or State Government or an institution recognized by the Central government or State Government. iii) Should be registered as a Pharmacist under the Pharmacy Act, 1948 (8 of 1948). i) Matriculation with science from a recognised Board or Institution. ii) Should have certificate in Laboratory Assistant Course from an Institution recognised by Central Government or State Government. Physical Standard: (For All Posts) : a) Height:- i) For male : 170 Cms. i) For Female : 157 Cms. b) Chest:- (i) For Male : Unexpanded: 80 Cms. ii) For Female : Not applicable Expanded : Minimum expansion 5 Cms. c) Weight :- For Male and Female : Proportionate to height and age as per Medical Standards. Relaxation will be permissible in height and chest to the candidates of all posts as follows:- Height : Minimum height of candidates falling in the categories of Garhwalis, Kumaonease , Gorkhas Dogras, Marathas and candidates belonging to the States of Sikkim, Nagaland, Arunachal Pradesh, Manipur, Tripura, Mizoram, Meghalaya, Assam, Himachal Pradesh, State of Jammu & Kashmir will be 165 cms. for male and 155 cms. for female. The minimum height for all candidates belonging to the Schedule Tribes will be 162.5 cms. for Male and 150 cms. for Female. Chest : The minimum chest for male candidates falling in the categories of: Garhwalis, Kumaonis, Gorkhas Dogras, Marathas and candidates belonging to the States of Sikkim, Nagaland, Arunachal Pradesh, Manipur, Tripura, Mizoram, Meghalaya, Assam, Himachal Pradesh, State of Jammu & Kashmir will be 78 cms. (minimum 5 cms, expansion) The minimum chest for all Male candidates belonging to the Schedule Tribes will 76 cms. (minimum 5 cms. expansion). Method of Recruitment (For All Posts) : The selection process shall consist of following stages:- I) Documentation II) Physical Standard Test ( PST) III) Physical Efficiency Test ( PET)IV) Written Examination ) Technical test (Trade Test) VI) Final Medical ExaminationVII) Review Medical Examination. The Dy. Inspector General(Medical), Composite Hospital, SSB Tezpur, Camp at T.C. Salonibari P.O. - Salonibari Distt. - Sonitpur (Assam) Pin- 784104. The Dy. 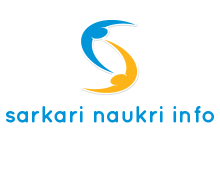 Inspector General (Medical), Composite Hospital, SSB Gorakhpur, Marketing Building, FCI Complex, P.O.-Fertilizer Factory Urubarak Nagar, Gorakhpur (UP) Pin- 273007.